On Sale Now! 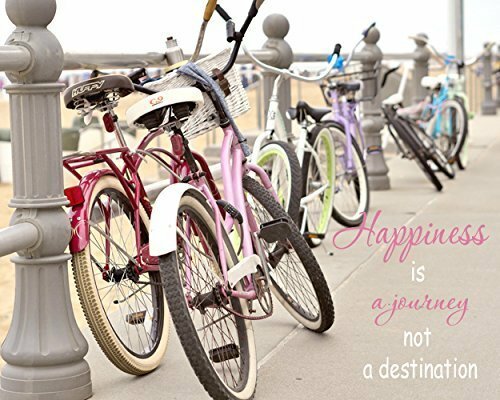 Save 10% on the Inspirational Wall Art, Shabby Chic Beach Decor, Happiness Quotes Wall Decor, Happiness Wall Art, Happiness is a Journey Quote Art Print, Beach Cruiser Picture by Natural Photography Spa at HoldUp Art. Hurry! Limited time offer. Offer valid only while supplies last. Fine art coastal photography print with a reminder that ''Happiness is a journey not a destination'' for your shabby chic inspirational wall art decor. Fine art coastal photography print with a reminder that "Happiness is a journey not a destination" for your shabby chic inspirational wall art decor. Artist: Irina Wardas Please keep in mind that every computer monitor displays colors a bit differently, so what you see on the screen might vary a little bit from the prints you receive. My studio monitors are professionally calibrated, and coordinated with my labs on a weekly basis to ensure the best possible results.